This report contains some important themes for reform in America. This report is not a comprehensive plan but it does set some key priorities. A key theme is the need for decisive government economic leadership. America was built by massive government intervention in the economy... from the Erie Canal, to the Homestead Act to today's internet. Today, we also have massive government intervention in the economy but all too much of it is in the wrong direction... tax breaks for Wall Street speculators ... huge subsidies for pumping out non-renewable water supplies and so on. We need to change the direction of government incentives for a real future... not a toxic future or a Wall Street house of cards. These ideas are political winners. The American people want to hear a positive program that relates to their lives..... not just endless battles between the right and left side of politics. 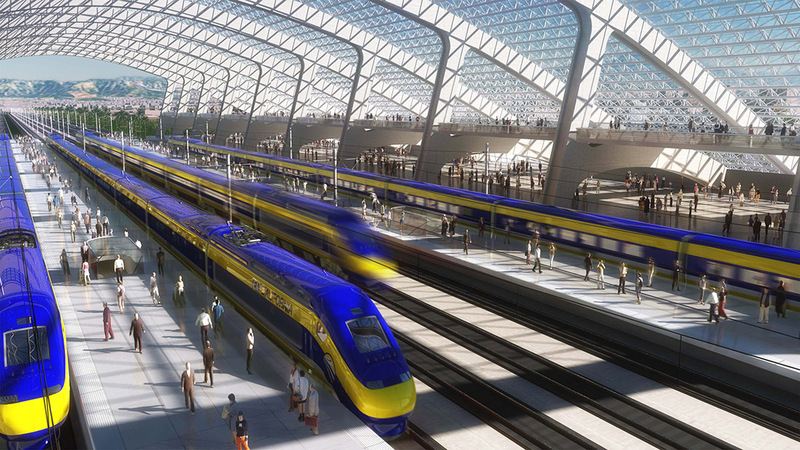 High speed rail link between Boston and Washington. Very expensive but worth every penny. Connection of all major airports to subway lines (as in most other nations). It is very important to note that these cannot just be budget items. They require strong Presidential leadership to explain the need for these ideas and to bring leaders of business and labor and other relevant parties together. It is totally ridiculous to suggest that today's budget crisis can be solved without a major increase in taxes. This is particularly necessary since we need more government spending in many areas. The issue of taxes is a controversial matter. We feel our plan is bipartisan in so far as it balances tax increases on upper income people with efforts to maintain and increase incentives for savings and investment in relation to the treatment of capital gains and estate taxes. It is essential that we raise the level of savings and investment in America. A case study of what we do not need is something like a recreation the the 1986 tax "reform" act. The 1986 law was great for corporate CEOs and luxury car dealers and did eliminate some silly tax shelters. However, it was a disaster for the country by cutting many incentives for investment and helped pave the way for the collapse of America's trade position in the world. We strongly support maintaining lower tax rates for real long term capital gains. This is essential to encourage high technology investment. Indeed, American should consider copying many Asian states and ending the capital gains tax on long term gains altogether. However, we would support ending the law that allows some speculators to claim income as capital gains, the so-called "carried interest" deduction. We should also maintain the current estate tax rates and consider getting rid of this tax altogether. Raise upper income tax rates to where they were in 2000 or higher. Introduce a financial transactions tax. WFF Report: Financial Transaction Tax. Carbon Tax and(or) gas tax. It is vital to account for the true cost of poisonous fuels. Do you know that the Nazis originally used carbon monoxide for their gas chambers before Zyklon B? Today it comes out of every car tail pipe. Also, don't forget our current vast military presence in the Persian Gulf, another great cost to pay for the protection of our oil interests. And there is the fact that the total climate of the planet is being damaged by poisonous fuels at a rate far exceeding all the worst predictions. This priority could work well with auto sales along with cash for clunkers plan listed above. WFF Report: Gas Tax and Carbon Tax. Summary: In Asia today there are government programs that do what we used to do, favor economic development. Rising Asian states favor investment and have eliminated capital gains and estate taxes in order to fund both investment and savings. Other nations and environmental realities are not going to wait until America gets its act together. We need to mobilize all our resources now. The insane and destructive sequester should be ended as soon as possible. Massive government economic leadership is what built the American economy from the ground up. We need to summon the political willpower to enforce the necessary reforms to make America work again. This strategy is the political game plan that America has needed for a long time. It's a political winner.